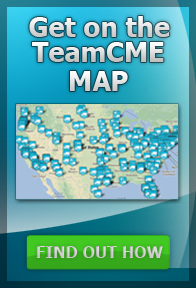 DOT Certified Physicians - Put TeamCME to work for You! Learn why you should be a member of the Team! Out-Market, Out-Innovate, Out-Serve and Out-Compete other providers! We have tons of training from Initial and Advanced Medical Examiner training to DOT Alcohol and Drug testing! And for members only, we have Free Advanced Training Videos to keep our members ahead of the pack. Great Products at great prices! That says it all! TeamCME is More than a Network! TeamCME is in a Class all by Itself! 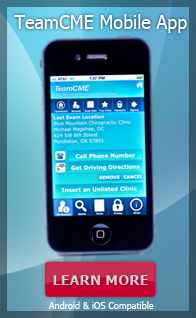 TeamCME uses cutting edge technology and group pricing power to make our members more competitive and innovative. We are the only source for Advanced CME training so that our members know how to provide a consistent, ethical, safety conscious, driver helpful medical exam. Using TeamCME protocols, our members “Bullet Proof” their driver status determination. Add DOT alcohol and drug testing to your practice. Use our randomized drug testing program for your clients. Our internet marketing and driver mobile app get page 1 results on search engines. Not yet certified? TeamCME is an Accredited National Registry Training Organization that offers the Accredited Training for the National Registry of Certified Medical Examiners. Be part of the Largest DOT Certified Medical Examiner network! Get certified and join the Team today! SensiCardiac FDA approved computer based heart auscultation/murmur detection program. Offer this Innovative Service and Marketing Tool! NATIONAL CLIENTS! Provide services to our growing list of National Accounts!